The kitchen came out today! 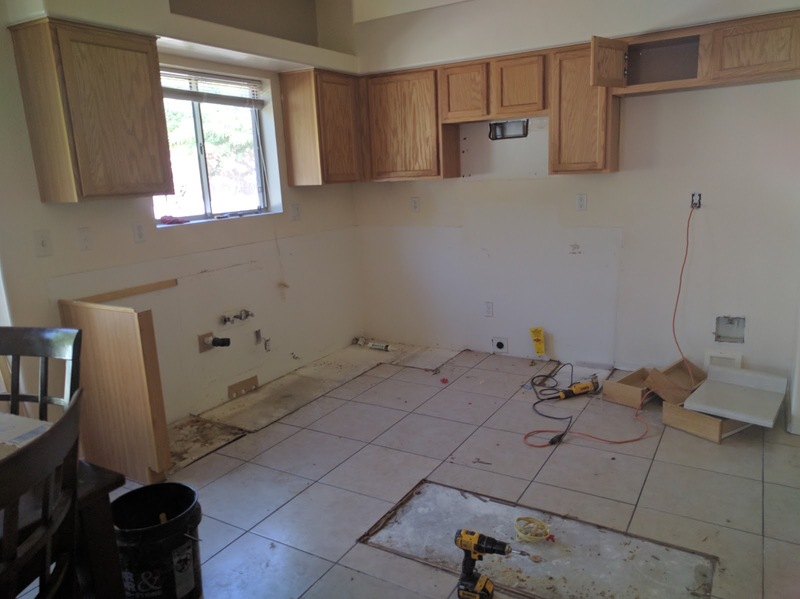 All the appliances and cabinetry came out in one day. I had hoped to donate them to the Habitat ReStore in Tucson that didn't work out. 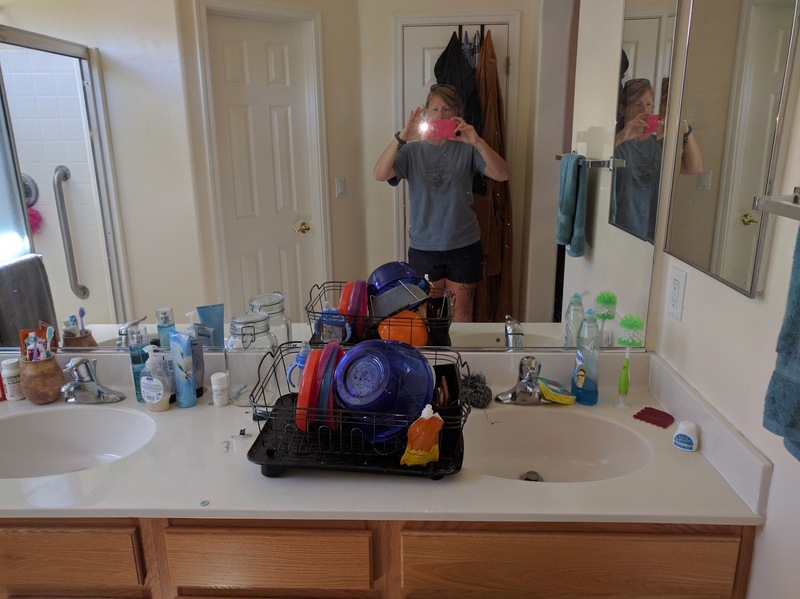 I got myself super-stressed about what to do with them since we didn't have room to store the cabinets here and then did a crowd-sourcing for an answer on f@cebook. 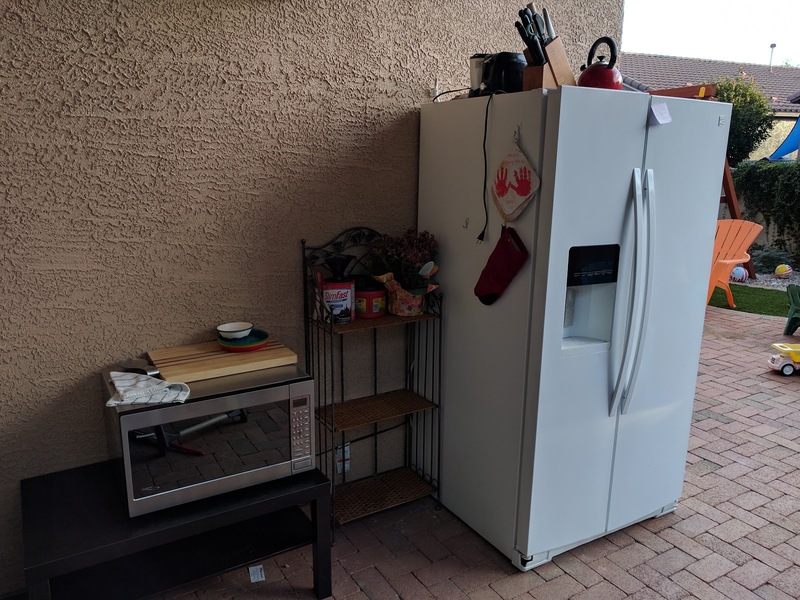 A friend suggested using the local garage sale site and I had someone dropping a trailer off at our house in less than 12 hours to pick them up. 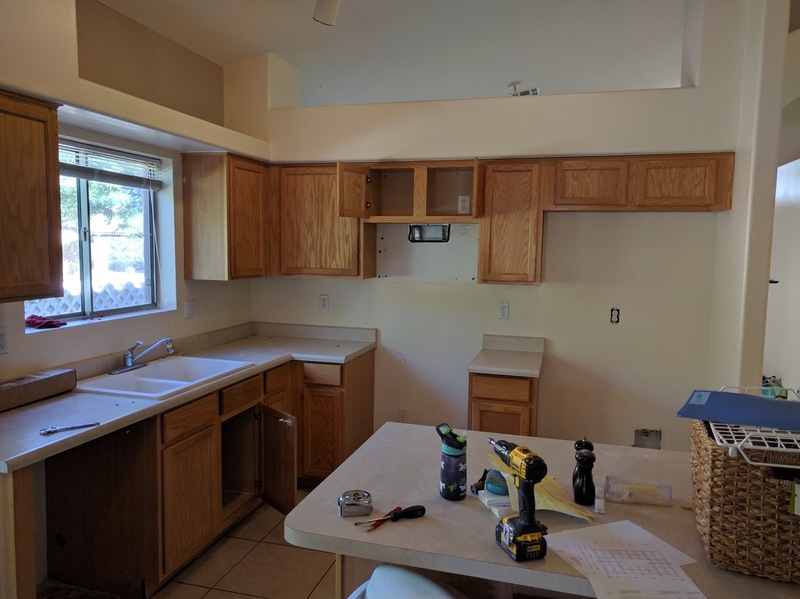 I had been worried that we would have to demolish perfectly good cabinets and it was such a relief to give them away intact. Where am I cooking now? The main living area of the house is practically empty right now and we're down to one bathroom. It's a little bit like camping, except the with too much stuff everywhere you don't want it to be and no fun hiking trips. I had been looking forward to the challenge of cooking dinners in my modified kitchen but when it came time to do it last night, it was super stressful and not fun at all. Since D is gone, there's no one else to distract/referee the kids and with all the changes right now, they were super needy. We got through it, but I definitely wanted bedtime to come a little faster than it did. I'm not entirely sure what the next step is. There's one more thing that needs to be demolished but it shouldn't take more than half a day to do it. 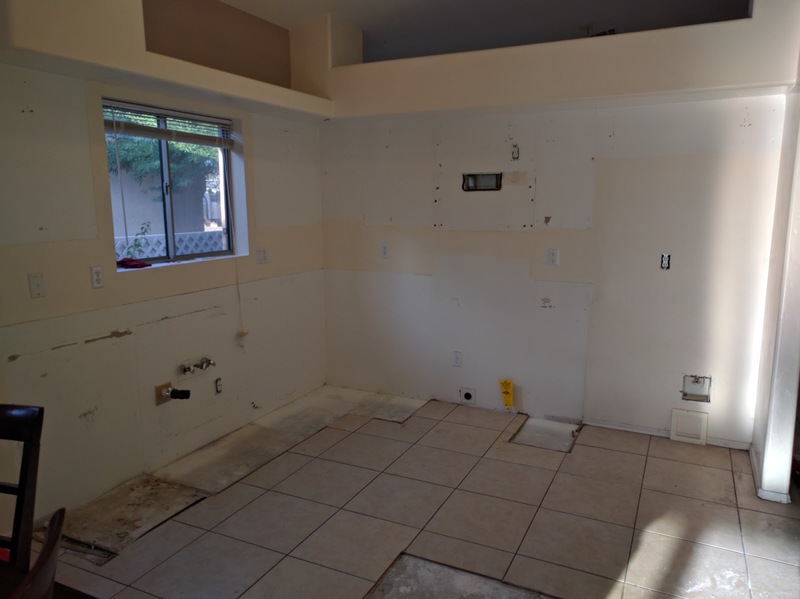 It looks like the next step is pulling up the tile but that's not scheduled to start until next week so we may be on hold until then. 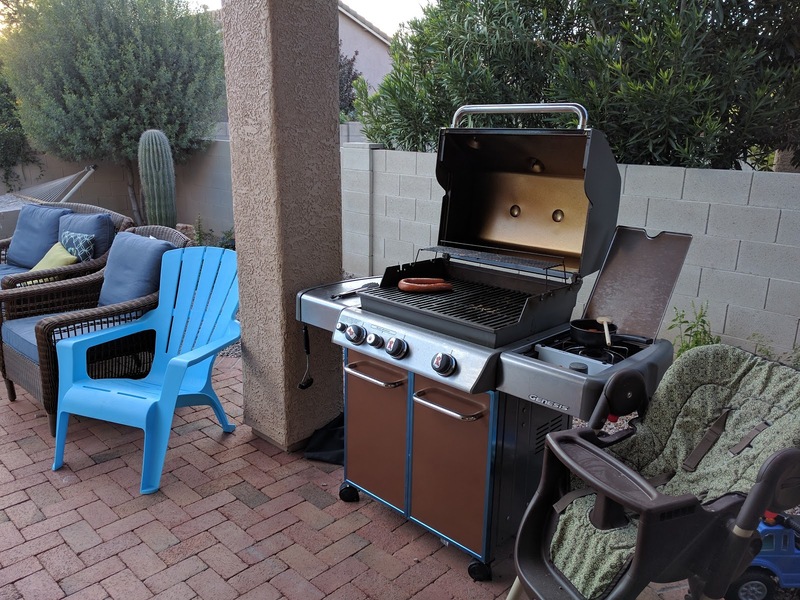 Any suggestions for meals that can be made on the grill, that aren't hot dogs and hamburgers? I'm going to try cooking frozen pizza tomorrow night- check back, since that might be a post in itself! What an adventure! It will all be worth it! Bless your heart - been there, done that. I remember cooking in a 40 year old electric skillet and my refrigerator was in my den and no stove. Bless your heart.